2018 Black Mountain JLU Wrangler Sport Edition is powered by a 3.6-liter 6-cylinder engine backed by a 6-speed manual transmission and has 203 actual miles. 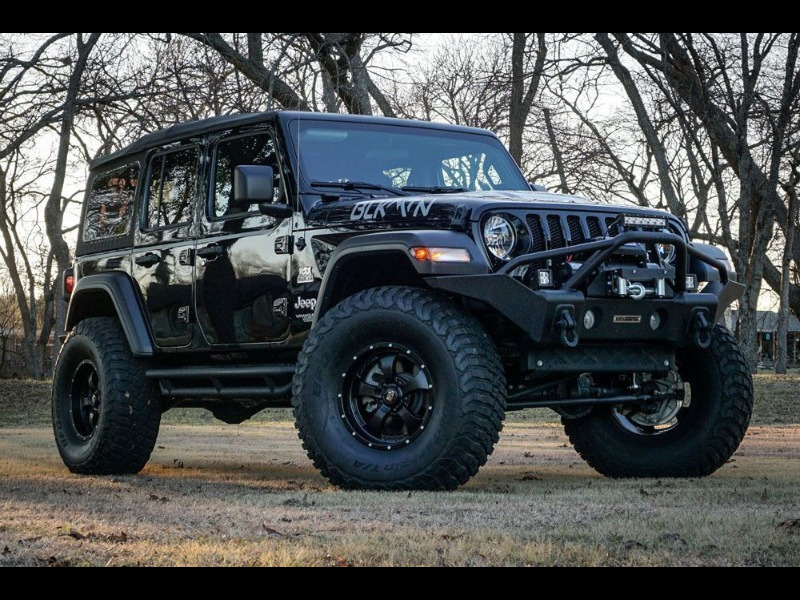 This black Jeep with black cloth seats has power brakes, power steering, air conditioning, tilt steering column, cruise control and a Dana 44 rear axle with anti-spin. It also features an AM/FM/Uconnect/Bluetooth/Sirius XM stereo system. The Stage I Black Mountain Conversion Package includes: 4" suspension lift, Black Mountain 8,000-pound winch, LEDs, D-rings, Black Mountain 17" alloy wheels with BFGoodrich KM3 39" mud-terrain tires, matching full-sized spare tires and wheel, heavy duty rear tire carrier adapter, leveling Stage I front bumper, rear recovery bumper, 3-bar step rock bars, heat reduction hood with two-tone paint and a rear backup camera.